Splendid Recipes and More (SRandM) present’s another post with Norma our guest blog speaker on the Tastes of Mexico. If you missed the last three conversations with Norma link here and scroll to Speaker Norma spoke May. 4-8, 2014 on the Tastes of Mexico. Today Norma is going to present some great beverages from Mexico. What are they Norma? 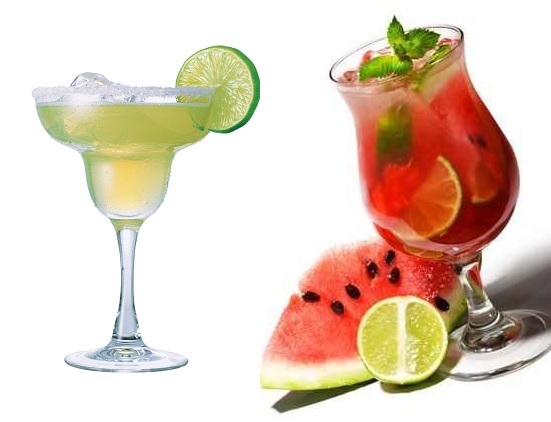 Norma: Classic Margaritas on the Rocks, and Watermelon Aqua Fresca. SRandM: OK so let’s get started. Norma: I think the key to making a classic margarita is striking the right balance between your tequila of choice and the orange-flavored liqueur you pair with it. Strong flavored tequila needs a strong-flavored orange liqueur to stand up to it. As a result, the following is a more of a formula than a true recipe. 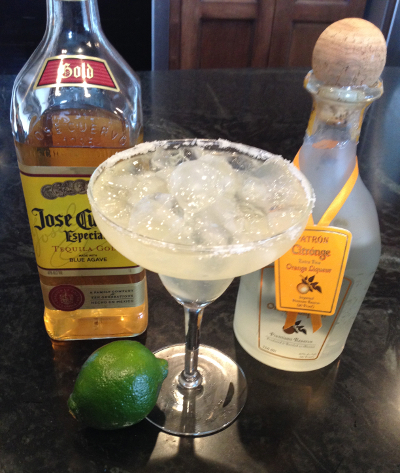 Use your favorite tequila and orange-flavored liqueur, such as Cointreau or Grand Marnier. SRandM: Can you use any flavor you like other than orange? Norma: Yes, and actually a true Margarita has no flavoring other than lime. But with the new generation of Mexicans, their changing things up. Fill a cocktail shaker full of ice and add the tequila, orange liqueur and lime juice. 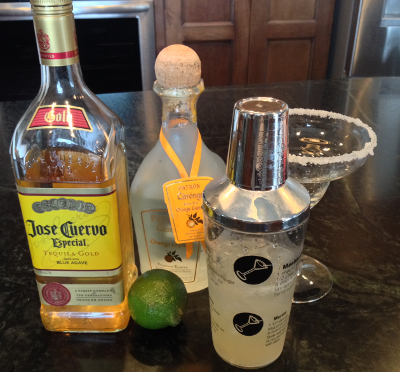 Shake vigorously to combine and pour into salt-rimmed margarita glasses filled with ice. Serve with a wedge of lime, if desired. Note this is a strong drink when first poured. The flavors will mellow a bit as the ice melts. SRandM: OK Norma, while I enjoy this Margarita you just made…what do you have for us next? Norma: Will I have a drink that is light and refreshing. It’s a popular drink in Mexico and is perfect for hot summer afternoons. It can be made with any number of fresh fruits, but melons are the most popular. While this beverage is non-alcoholic, rum or tequila and triple sec can be added to create a delicious adults-only beverage. Add the watermelon, water and lime juice to a blender or food processor and blend until smooth. If any seeds or large chunks remain, strain through a sieve to remove. Pour the blended juice into a pitcher and stir in honey until blended, though you can replace the honey sugar. Now crush the mint leaves with your fingers and put them in the bottom of each glass. 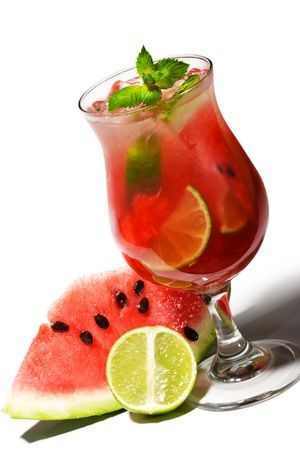 Fill the glasses with ice and top with watermelon mixture. Garnish each glass with a slice of lime or fresh mint leaves, if desired and enjoy the freshness. SRandM: Norma you have out done yourself today with these wonderful beverages. So what will you present next time? Norma: How about Pico de Gallo and Homemade Flour Tortillas? SRandM: Looing forward to it Norma. To our readers of Splendid Recipes and More, you know were to return for more great Tastes of Mexico from our guest speaker, Norma. This entry was posted in Beverages, Guest Speaker and tagged Drink, Grand Marnier, Lime (fruit), Margarita, Mexico, Norma, orange liqueur, Pico de Gallo, Tortilla, Triple sec, Watermelon, Watermelon Aqua Fresca. Bookmark the permalink.